The 1910 Bleriot XI is the smallest, lightest plan buiilt to that time. Pilot sat in open without seat belt or safety restraints. It was easily shipped and could be assembled with common tools and takeoff in just nine hours. Its engine was 7 cylinder air cooled with 50 mpg maximum speed. 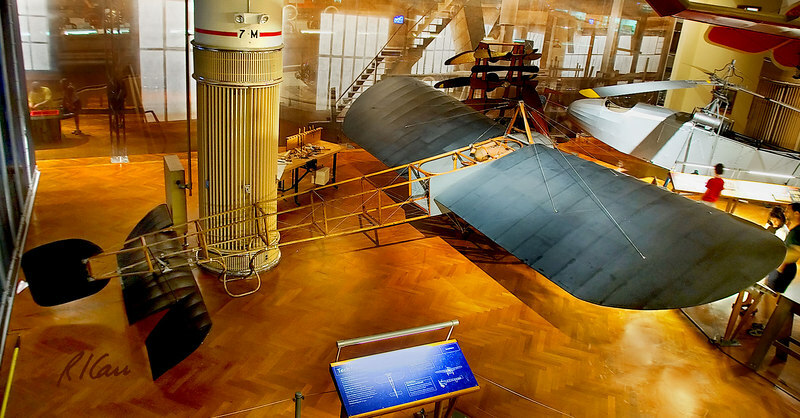 Henry Ford Museum, Dearborn, Michigan. August, 2006.